There are markets in Ontario that have been tighter than Toronto this year? It takes how long to save up for a downpayment for a Vancouver home? Find out the answers to these questions and more in this roundup of surprising facts from BuzzBuzzNews’ coverage of the Canadian housing market this year. Your home may be just sitting there all day, but on average it’s pulling in more than you are, at least as of June 2016. By the end of that month, the average price of a Canadian dwelling had risen $50,619 in 12 months to a whopping $503,301, noted BMO Chief Economist Douglas Porter. The Greater Toronto Area is a big place. It’s more than 7,124 square kilometres, in fact. The average detached home price stretching across this large swath of southern Ontario is pretty hefty, too. Standalone homes in the 416 area code, which includes downtown Toronto, have been going for an average of more than $1 million since February 2016 — with one exception, July 2015. But the whole GTA in all its sprawling glory only surpassed that level last month, when detached homes in the entire region sold for an average price of $1,013,788, according to the Toronto Real Estate Board’s stats for September. Think Toronto real estate’s on fire? These Ontario housing markets were even tighter in April: Niagara Region and Hamilton-Burlington. In April, both markets had higher sales to new listings ratios — calculated by dividing sales with new listings for a month and expressed as percentage — than Hogtown. Niagara’s ratio was a towering 85.1 per cent while Hamilton-Burlington’s hit an impressive 81.6 per cent. Meantime, Toronto’s was 74.8 per cent. Typically, ratios between 40 and 60 per cent are considered balanced, while anything veers into seller’s market territory. Given all the discourse on foreign buyers — and particular investors from China — and their possible role in driving up home prices in Canada’s hottest housing markets, you’d think realtors might be learning more about them. A study suggests many aren’t. Some 13.2 per cent of Canuck real estate professionals selected either Kim Jong-un, chairman of the Workers’ Party of Korea (read: dictator) or Chinese communist revolutionary Mao Zedong, who died more than 40 years ago, as the current Chinese leader when quizzed by Juwai, a website that helps homebuyers in China view international properties. Respondents also had some trouble identifying the Chinese flag. In the first quarter of this year, National Bank, Canada’s sixth largest bank, studied how long it would take median-earning Vancouver households to sock away enough cash for a minimum downpayment on a home there. The study, which assumes households will save 10 per cent of its pre-tax income, found it would take median-earning households 106.8 months — more than nine years. Vancouver and Toronto aren’t shining examples of housing affordability, yet when looking at a number of other major cities worldwide, they compare favourably. National Bank released another report in July, this time comparing local incomes to 90-square-metre condo prices in 18 large global markets. Vancouver, where these condos were 11.3 times the average family income, was the fifth-most affordable. Toronto, where they were 9.4 times average family earnings, placed third. From April 2015 to the end of March this year, the Canadians collectively earned wealth to the tune of $200 billion from high-flying home prices, says Adrienne Warren, a Scotiabank economist. For comparison, in the year 2000, the housing market generated $70 billion in wealth. Earlier this year, the Toronto Real Estate Board released its 2016 GTA housing market forecast and 2015 review, including results from an Ipsos Reid poll that shed light on who, exactly, was buying homes in the area in 2015. 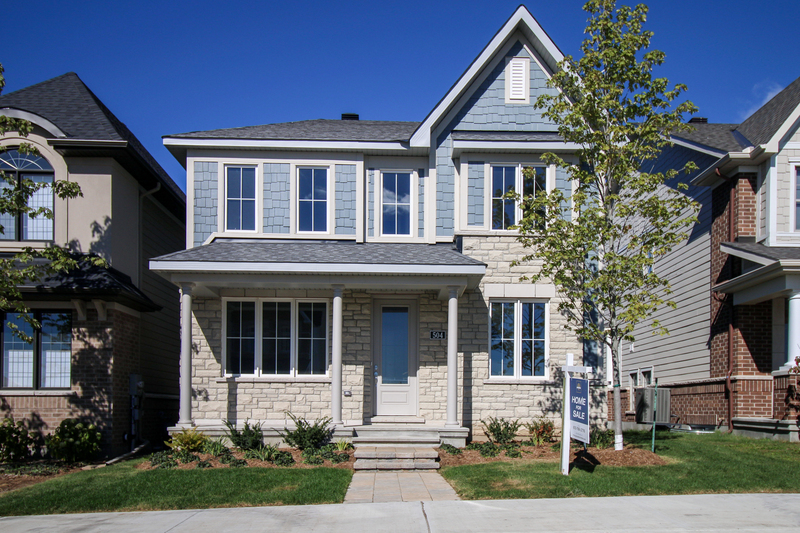 The Ipsos Home Owners Survey, which drew responses from 1,000 GTA residents 18 and older who said they’d purchased a home in the past 12 months (as of November), suggests 53 per cent of GTA homebuyers were doing so for their first time ever in 2015.